drivingandlife: ARFUR DALEY WOULD LUV THIS CAR! Just the right motor to show off to his mates. Just the right motor to flash around the streets of West London, and just the right motor to carry off the haul from a bank robbery! Fast; the cat's whiskers for looks; and stylish too. 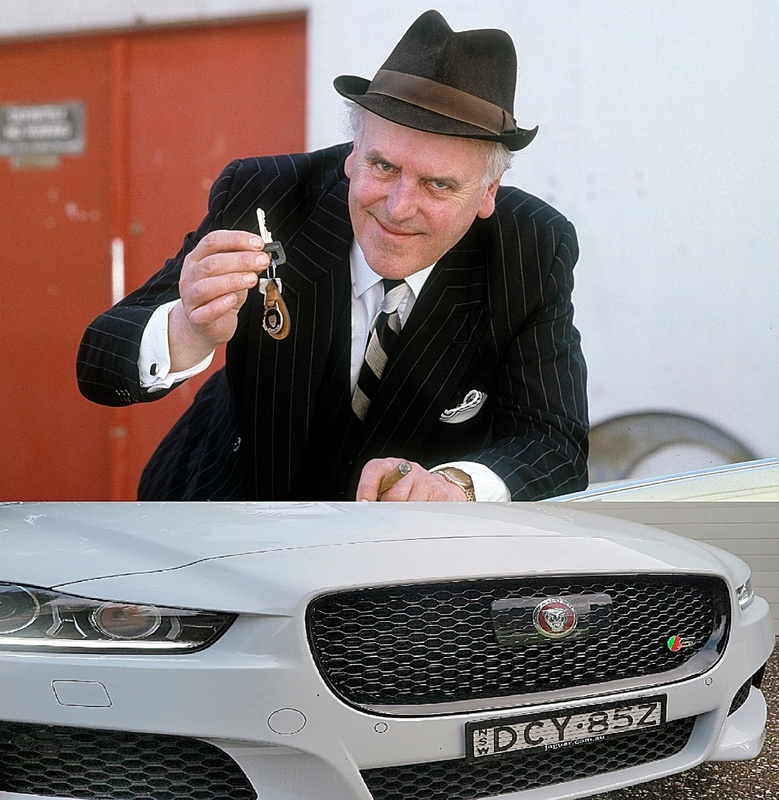 Arthur Daley, or 'Arfur' to his mates (and George Cole to his fellow thespians) would cut just the right figure if 'e was poncin' 'round London in the Jaguar XE Sport. Sadly George died in August last year. This is the spec that really makes the XE a standout in the mid-size sporting sedan sector. 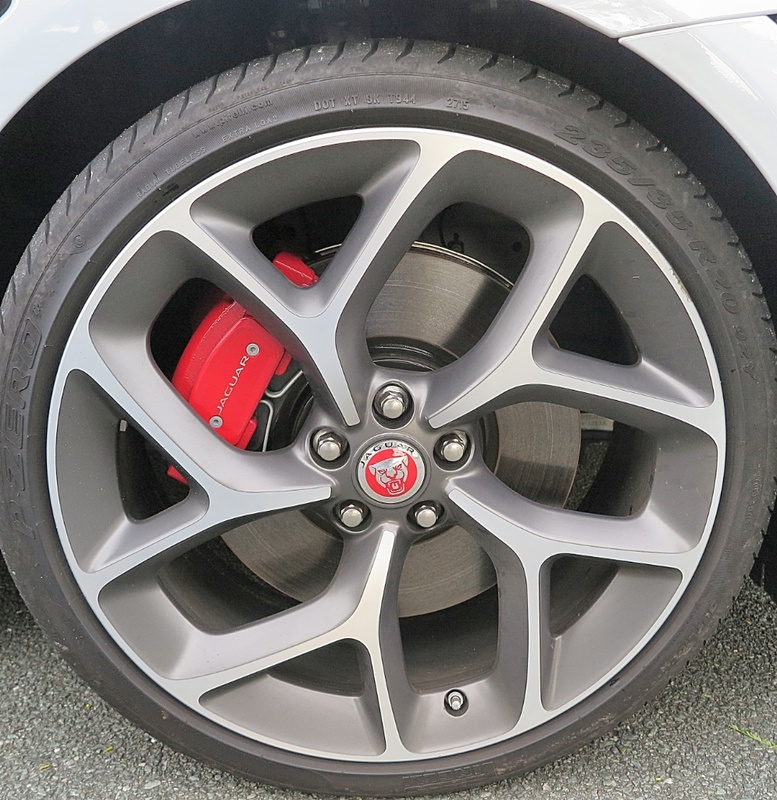 The 3.0L supercharged V6 endows the XE Sport with all the performance you're ever likely to need to make this a great-handling, top notch touring car. It allows enjoyable exploitation of the outstanding chassis dynamics. Squeeze the throttle - the V6 unleashes a growl, settles the rear down on its haunches, and takes off like a Cheetah. One test drive and you'll be popping back to the showroom to choose a color and sign the order form. 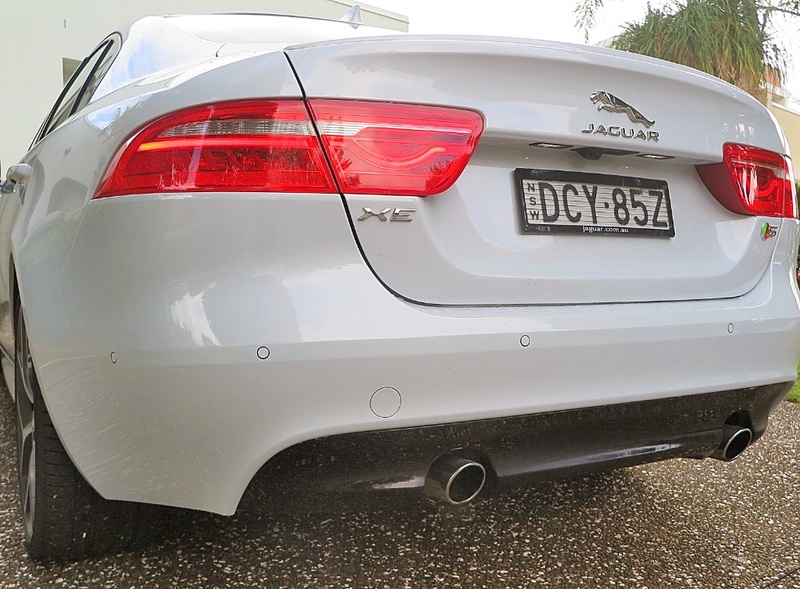 I was pretty impressed with the first XE I drove, powered by a 2.5L turbocharged four cylinder; but the XE Sport is everything I wanted the Jaguar XE to be. Athletic, agile and composed at speed. 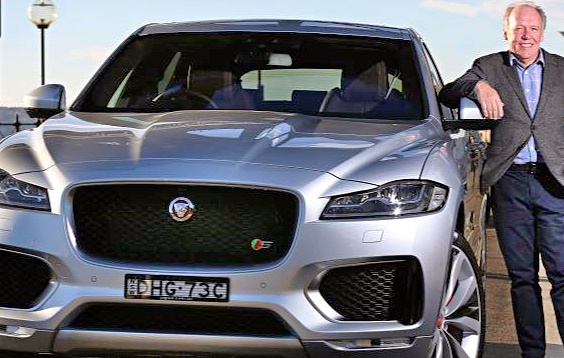 It turns in just like a Jaguar should, and despite the lightweight aluminium-based structure, the ride is carefully damped to deal with mid-corner ripples and dips, without shaking your fillings loose. 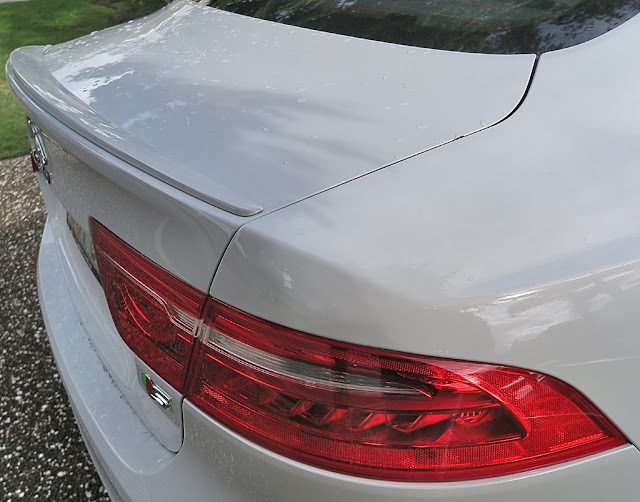 The subtle rear spoiler looks cosmetic, but whatever, when you're pushing hard the XE Sport retains just the right balance. I'm not sure what JLR has up its sleeve in the high performance engine department. 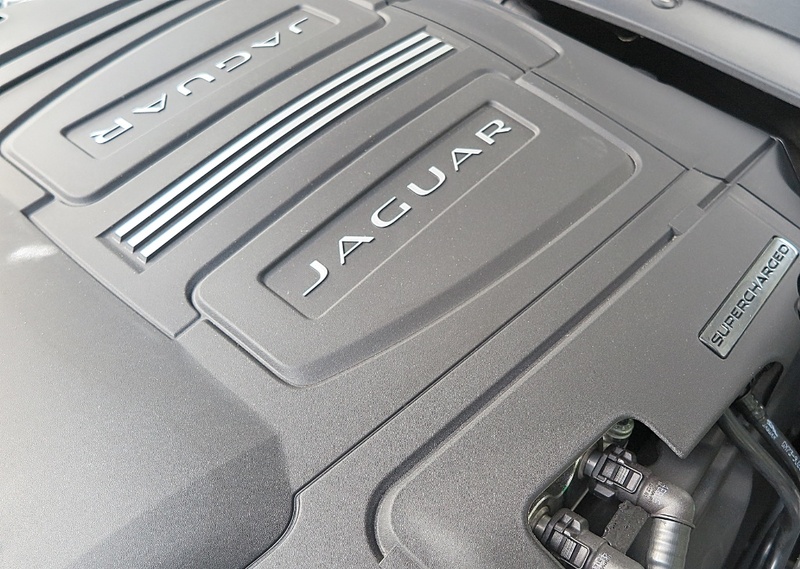 It's new Ingenium engine range will initially replace the 2.0L turbo petrol and diesel engines; and the V8 of course is Jaguar's own creation. But, the supercharged 60 degree V6 has its origins in the old Ford Duratec V6 and I'm wondering if the future product plans call for it to be replaced by a more modern, and efficient Jaguar-designed powerplant. Mind you, thanks to supercharging, any shortcomings this engine may have are well and truly disguised as it screams off down the road. 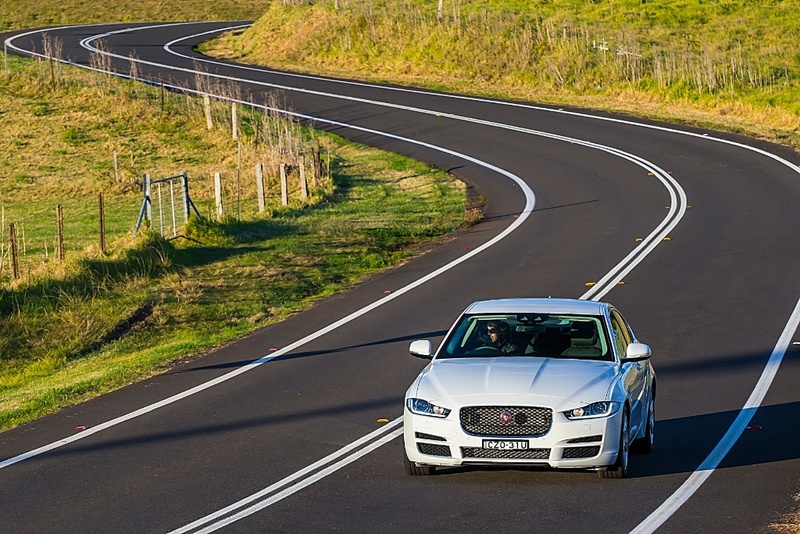 The XE and the just-released F-Pace SUV are two models vital for Jaguar's exponential growth in sales. Early indications are that F-Pace, and the XE Sport will race out of the showrooms in America, because there is a lot of pre-registered pent-up demand. The Jaguar design and engineering team have certainly delivered on Tata Group's faith in its costly acquisition, and as I reported previously, JLR is actually paying healthy dividends to its Indian parent. Who'd have thought that ten years ago! Note: The late George Cole (Arthur Daley) and Dennis Waterman (Terry) starred together in a highly popular British TV series called "Minder". Arthur was a lovable rogue, typical in West London, and was an 'opportunistic entrepreneur' who often sold stuff on the cheap which 'fell off the back of a truck'; and Terry was his 'Minder', protecting Arthur from other rogues, trying to muscle in on Arthur's activities. 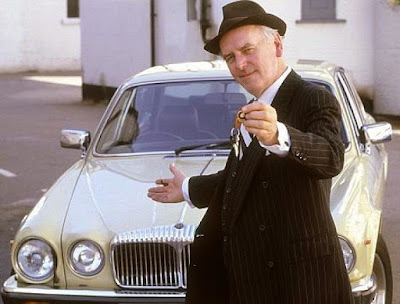 Arthur's choice of car was a yellow Daimler (Jaguar) Sovereign Series 3 4.2L.